Casual style for young ladies. 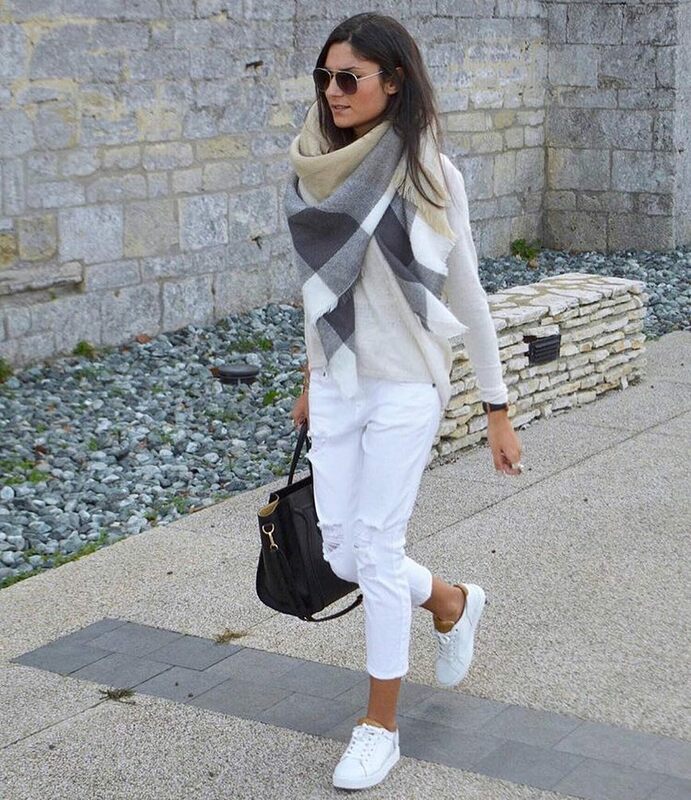 We see a shawl wool scarf worn with a cream white sweater, white ripped jeans and white sneakers. A classic outfit that can be worn during casual day offs. Complete this look by adding a pair of aviator sunglasses and black leather handbag.